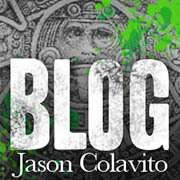 Your source for information on the Lost Continent of Mu and advanced ancient civilizations. In researching my book on the Great Uighur Empire, I ran across the “Book of Manu” as a historical reference placing the Uighur people around the shores of the Caspian Sea in the 1931 Children of Mu (page 220.) Digging a little deeper, the Laws of Manu, also known as the Book of Manu, the Manava Dharma Sastra, or the Manusmriti, is an ancient book of the laws guiding social and religious life in 2nd and 3rd century BCE India. I actually found one occurrence of the word “serpent’ in one of the 2684 verses. A twice-born man, who is unable to atone by gifts for the slaughter of a serpent and the other (creatures mentioned), shall perform for each of them, a Krikkhra (penance) in order to remove his guilt. Obviously, James did not reference this passage or the word “serpent” as his proof. On the other hand, both the Manava Dharma Sastra and James do mention Narayana. 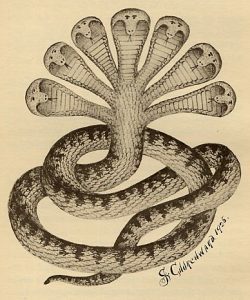 James identifies Narayana as “The Seven Headed Serpent, the symbol of the Creator and Creation” and provides illustrations. So to James, Narayana, his seven-headed serpent, was the creator and provides support for his statement that the Manava Dharma Sastra referred to the serpent as creator. Further investigation indicates Narayana is another name for Lord Vishnu, the absolute being in Hinduism. If we are searching for the truth about James’ writings, we would need to acknowledge his errors such as the wrong translation of the name of Narayana, the replacement of Lord Vishnu with a seven-headed serpent, and that the Manava Dharma Sastra does not refer to the serpent as the creator. As far as the historical reference which opened this discussion, the idea the Book of Manu is a history book recording the presence of the Uighur around the Caspian Sea is false. The Laws of Manu is a compilation of rules and regulations. It is not a history book and does not record the presence of Uighur settlements around the Caspian Sea. This entry was posted in Great Uighur Empire, References to James' work. Bookmark the permalink. It’s as if books say what one wants, actual text optional. If you’re interested, I covered some of this material in my book Anthrogenesis. Subscribe to the newsletter and receive a free pdf copy of the index to James Churchward's 1926 book, "Lost Continent of Mu Motherland of Man"